As an Industry Dive intern, you'll take on the same projects and responsibilities as our full-time employees. You'll get experience in your field and leave with a significant body of work to add to your portfolio. There is never a dull day at Industry Dive. As a member of our team, you will have opportunities to innovate and make a real impact on the company. We have many interns that now work with us full-time. I was able to work on relevant projects that taught me new skills and benefited the company every day. I was working on projects that challenged me and taught me new design and technical skills. Food trucks were definitely a plus – but in all seriousness... Working on code that would be shortly pushed to production was great... The brown bags and intern training session were also very interesting. You are driven to get people connected with our content. Your work will have exposure to prospective readers and subscribers. Learn from an award-winning team of graphic and product designers. You will work on projects that will be seen and used by thousands of business executives. Editorial interns are curious. You will work closely with the other editors researching, interviewing and writing about compelling industry topics. Marketing interns help bring in the money. Work with our sales reps to win new business and close deals. 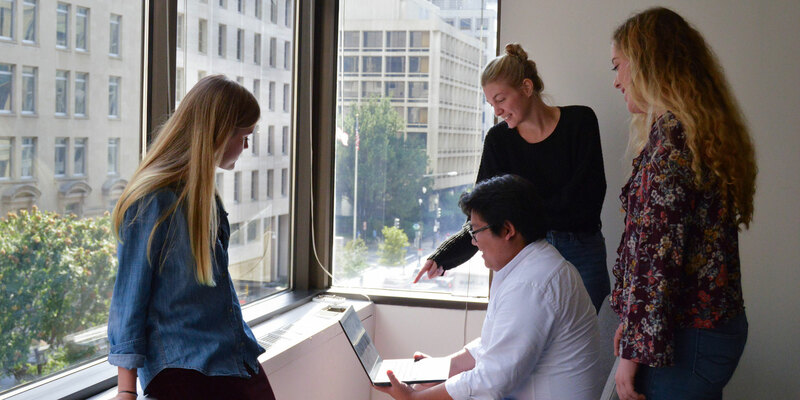 Tech interns love web development and bring a self-starter attitude. Help build websites and tools used by millions of business executives. In the fall and spring, we offer part-time internships and, in the summer, we offer full-time internships. Resumes are accepted on a rolling basis. If you don't see exactly what you're looking for, feel free to submit your resume to [email protected] and we will keep it on hand for future opportunities.